Traditional oceanographic instruments sample large volumes of seawater (up to tens of litres) but microbial interactions take place at a micro-litre scale. Engineers and microbiologists in Australia, the US and Switzerland have formed a unique partnership to overcome these limitations. The team has developed a device that allows microbial ecologists to investigate microbial behaviour in their natural environment. The new device exploits recent advances in microfabrication and microfluidic techniques that also opens-up a range of possibilities for biomedical research and water quality biomonitoring. The development, testing and first field results of the device, known as the In Situ Chemotaxis Assay (ISCA), have been published in Nature Microbiology. "Until now there has really been no way to probe the behaviour of marine microbes towards certain chemicals in situ," says marine microbiologist and co-lead author Dr Jean-Baptiste Raina. Dr Raina, from the Climate Change Cluster at the University of Technoloy Sydney (UTS), says that just as some people are drawn by the smell of food or perfumes, microbes are attracted by specific chemicals. "This behaviour is called chemotaxis and it is important because seawater isn't homogeneous. The microscale world that microbes inhabit is incredibly patchy, with a number of processes leading to nutrient hotspots, and it's in these microenvironments where all the microbial action takes place." MIT engineer Ben Lambert, also a co-lead author, says, "With the ISCA we are really opening the door to being able to interrogate this behaviour in the natural environment. 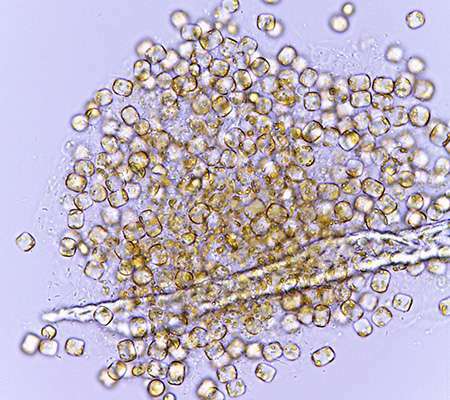 Our initial findings have shown that chemotaxis does take place among marine microbes and this validates many years of laboratory experiments and hypotheses put forth about this behaviour in the ocean." The ISCA is one of the first experimental devices to marry micro-engineering with genomic and chemical analyses in the natural environment. The single-use device, about the size of a credit card, is made of inert materials and consists of micro-litre sized reservoirs. These can be filled with different chemicals that then diffuse into surrounding seawater. Microbes can respond to a specific chemical by using chemotaxis to swim into the well. The researchers can retrieve the reservoir content and count how many microbes respond to a given chemical as well as determine their identity and function. Professor Roman Stocker, who pioneered environmental microfluidic technology, says the device capitalises on rapid advances in 3-D printing and is designed to be robust, easy to make and easy to use. "This means it will be accessible to a broad user base and doesn't require extensive training. This is a critical aspect of the design if we hope to have strong adoption by scientists across fields," he says. The authors believe that with its ease of use and its design to bridge the gap between aquatic chemistry and microbiology with in situ observations, it will be of substantial interest to the broader scientific community. Associate Professor Justin Seymour says the "innovative tool will help to re-shape our perception of microbial processes in a range of aquatic habitats". "We think its application will help to answer fundamental questions in microbial oceanography. 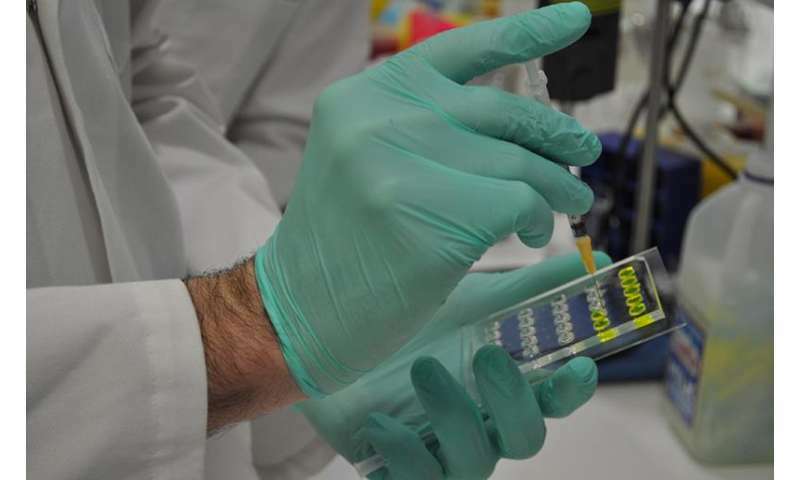 It will also potentially be useful in other settings including water quality monitoring and prospecting for organisms that may aid bioremediation efforts," he says.